At A1 Dental Care, our Las Vegas dentists go to great lengths to save teeth	which have become decayed, broken, or diseased. Both Dr. Doan and Dr.	Lee have years of experience providing personalized treatment options	and can work toward providing you with immediate relief in the event of	an emergency. When you visit our Las Vegas dentist office, you can rest	assured that your concerns will be addressed quickly and you will be treated	with the utmost care and respect. Extractions: If your teeth are protruding and causing discomfort, our oral care experts	can provide you with emergency extraction services. 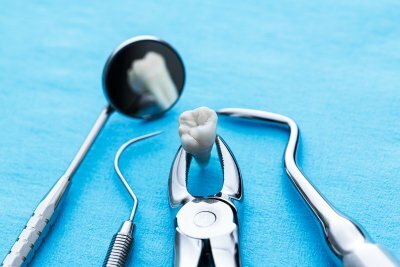 After numbing the	area, our dentists can work toward removing the problematic tooth. Same-day crowns: Have you recently cracked or chipped one of your teeth? If so, it is imperative	that you schedule an appointment at A1 Dental Care! Our Las Vegas dentists	can place a crown on top of the compromised tooth or teeth. Emergency root canals: Are you experiencing severe pain from one of our teeth? If so, you may	require a root canal. When you visit our office, our dentist will examine	the area and provide you with a course of treatment aimed at resolving	your discomfort. At A1 Dental Care, we truly care about our patients and will work toward	providing you with immediate relief. To ensure you get the treatment you	need, we always offer same-day emergency appointments. To schedule an	appointment with our office, please	call (702) 450-6060 at your earliest convenience.